Pakistan Peoples Party (PPP)’s Chairman Bilawal Bhutto Zardari has termed stone pelting on his rally in Lyari as “conspiracy”. Prior to his departure in Sindh, Bilawal spoke to workers in Karachi saying that PPP has an old affiliation with Lyari, so wherever he goes public shower their love for him. “My warm welcome in Lyari did not go down well with opposing parties,” he added. He further said that PPP’s political opponents were responsible for the incident. But the workers are undeterred and are staying in Lyari. 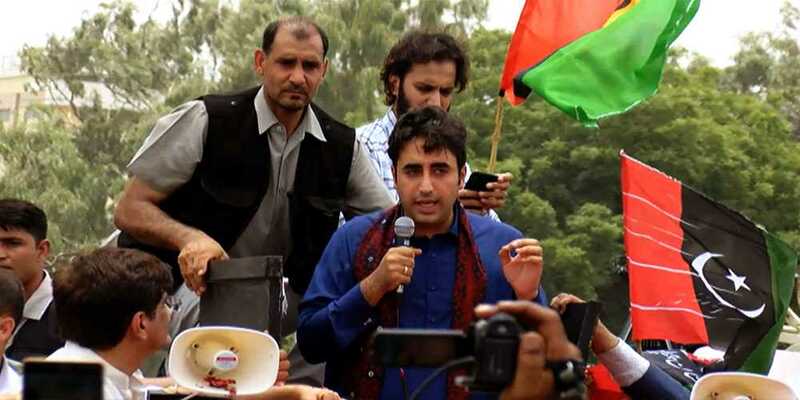 Bilawal Bhutto Zardari said that Pakistan Peoples Party (PPP) doesn’t believe in the politics of violence, “Our party has always given a message of love to the public, Election 2018 are near and Pakistan Peoples Party is the only party that has presented its manifesto, while others lack both manifesto and vision.